Sneakers have been all the rage lately, and for good reason too. Not only are they stylish and versatile, but they’re also way more comfortable than pumps, or even – dare we say – ballet flats. 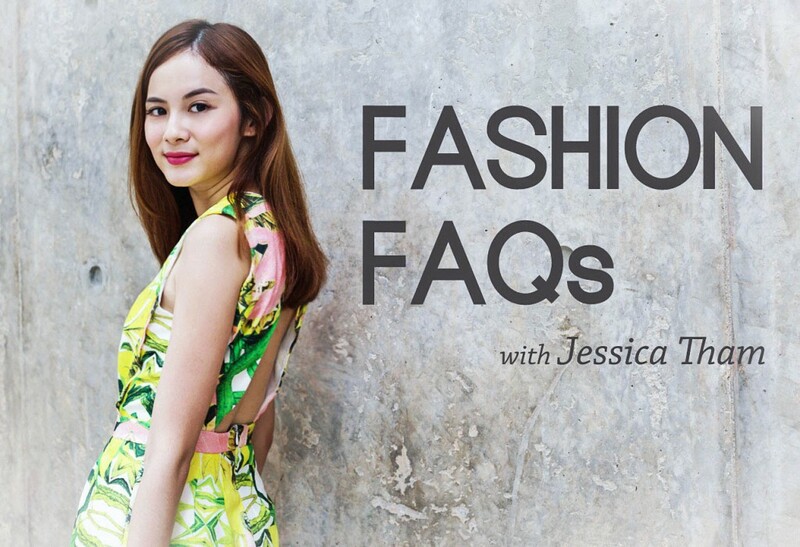 We get fashion blogger Jessica Tham (@tippytapp) to show us how to style sneakers for different occasions. Picking a travel outfit may seem relatively simple, but being comfy and cute is sometimes not as effortless as it looks. Enter sneakers, the perfect combination of style and comfort. Pair your sneakers with a classic tee and jeans combo for a no-fuss travel outfit that still looks pulled together. The fashion police ain’t got nothing on you now, hunny. Tired of your usual girly get-ups? Switch things up a little by wearing your favourite dress with a pair of sneakers. If you tend to wear more feminine dresses, go for a low-cut pair of white sneakers with a discreet logo. 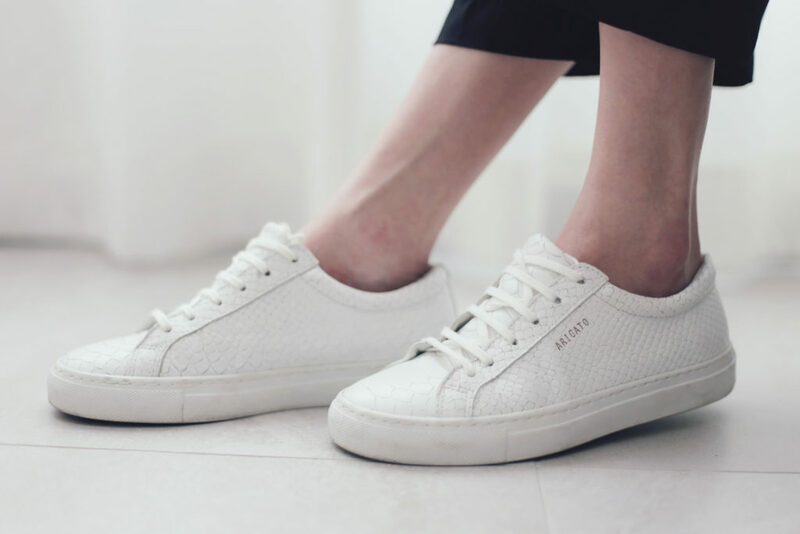 White sneakers may bring back memories of your Bata school shoes, but they’re surprisingly versatile if you pick a simple, classic pair. White goes with just about any colour, and low-top sneakers also have the added benefit of not making your legs look chunky (high-top sneakers, we’re looking at you). Just avoid Velcro and you’ll be fine. Meeting your #squad for weekend brunch? 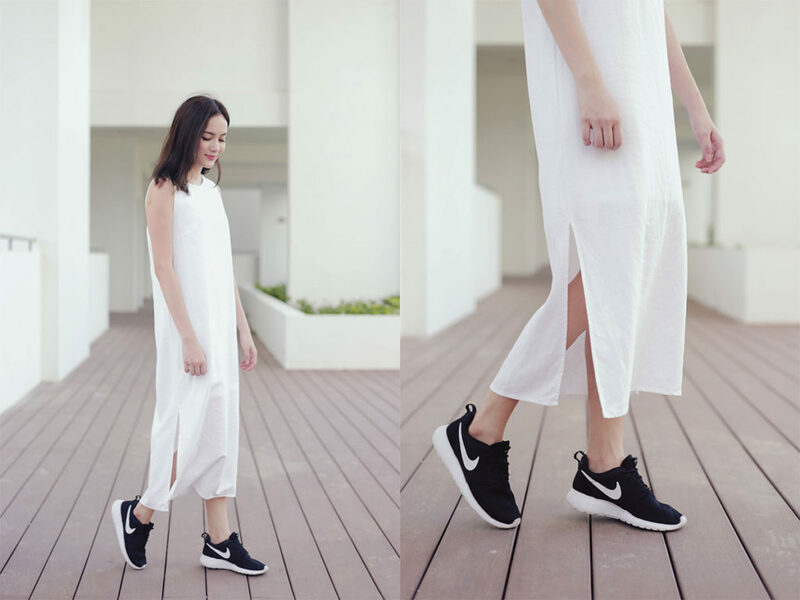 Show them how casual chic is done by pairing your sneakers with a maxi dress. 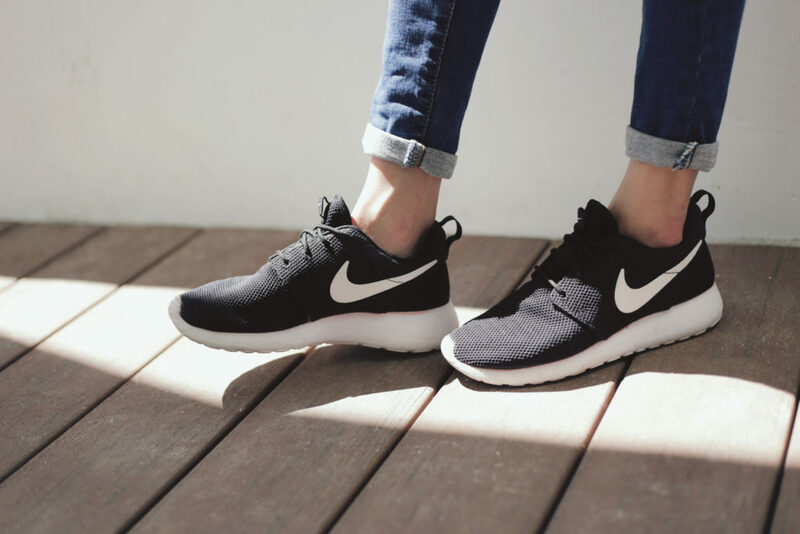 Casual dresses go well with sportier shoes like the ever-popular Nike Roshe sneakers, which give your outfit an instant dose of street cred. 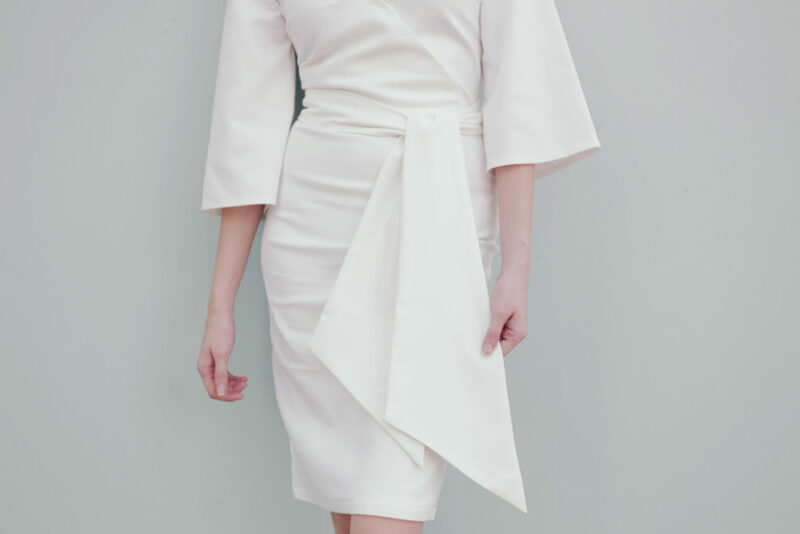 Also, the upside to an ensemble like this is that you won’t have to unzip your dress/skirt to accommodate that post-brunch food baby (no judging here, it happens to the best of us). Let’s face it – when it comes to comfortable outfits, it’s easy to reach for a trusty pair of shorts and slippers, sloppiness be damned. But who says you can’t be comfy and cute? If you want a simple yet stylish outfit for a casual day of running errands, a pair of on-trend culottes will do the trick. Also, can anyone say comfiest pants ever? 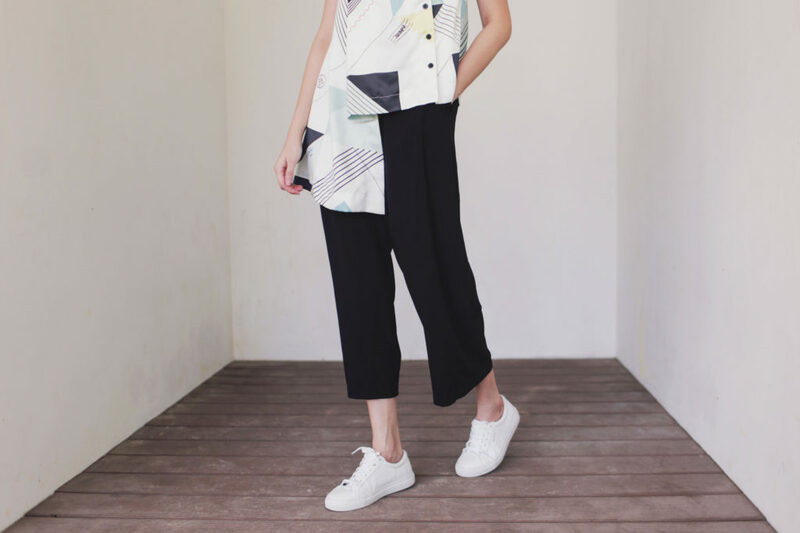 Since culottes can make your legs look bigger than they are, pair them with low-top sneakers (rather than a sportier pair) to keep your ankles exposed. Pull the outfit together with a structured bag and ta-daah, you’ve got yourself an Instaworthy OOTD. Jessica wears the Nike Roshe Sneakers in Black and the Axel Arigato Low Sneakers in White Python Embossed Leather.